This lovely stuff has been trickling onto the shelves since the middle of March. This year's crop is especially fine because it was a dry but not bitterly cold winter. In Yunnan, that makes for topnotch tea and lovers of fresh green tea have been eagerly awaiting it here in Kunming. Let me take you on a short tour to buy some. 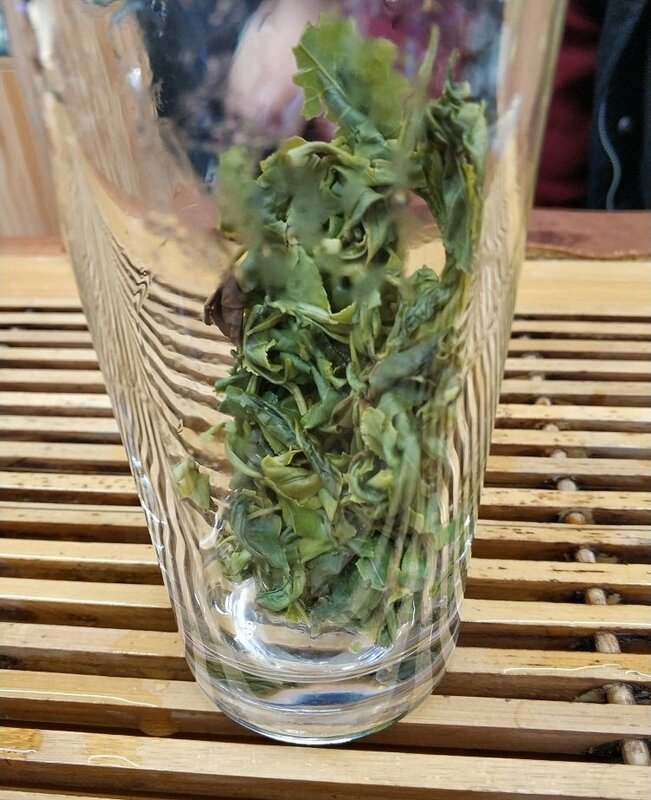 Then you can read about brewing it at home in this companion article: https://www.chinese-forums.com/forums/topic/58173-and-heres-how-it-brews-yunnan-spring-tea-2019/ . You will usually find two main types of early spring tea, as pictured here. The one on the left with the pink sign (早春绿茶 = early spring green tea) has leaves which are fluffy and open, sometimes called 毛峰 maofeng. 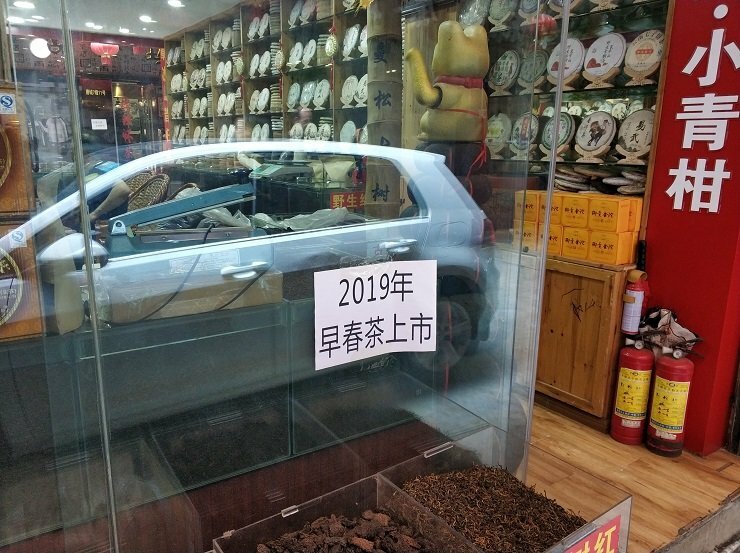 The tea on the right, behind the orange sign saying "manager's recommendation" 店长推荐 has been rolled into balls and is sometimes called 碧螺春, which means "green snails of spring." Here are closeups of those two common types of early spring tea, before we go any farther. The unrolled tea on the left, and the rolled tea on the right. Both are delicious, but have differences. In the case of these two, the "open" maofeng 毛峰 was milder 清淡一点 than the rolled biluochun 碧螺春。That doesn't always hold true. 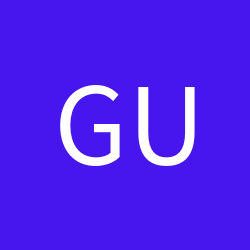 Ask the seller to guide you. The boss's assistant brewed me some of the open leaf tea first, since it was supposed to be milder. Wanted to progress in my tasting from mild 淡 to stronger 浓一点。She first warmed the glass with boiling hot water and let it thoroughly heat. Poured out that water. Put enough tea into the bottom of a clear drinking glass (180 to 200 ml is suggested) and shook it around so it could heat and begin releasing some aroma. Passed me the glass so I could have a whiff. Very aromatic, floral and slightly grassy. Then she slow-poured hot water in a high stream into the tea to wake it up gently and not kill the flavor by scalding it. Swirled it around and gave the leaves time to expand. Poured it into a small pitcher 公道杯 through a strainer 滤网。From there into my small drinking cup 品茗杯，which only held enough brewed tea for two or three mouthfuls. The idea behind this is to not let the tea get tepid or cool like it might if she poured me a mug. The tea leaves greened up as she worked. Here's what I wound up with. Very tasty stuff. I'll show you how to brew it once I get back home. 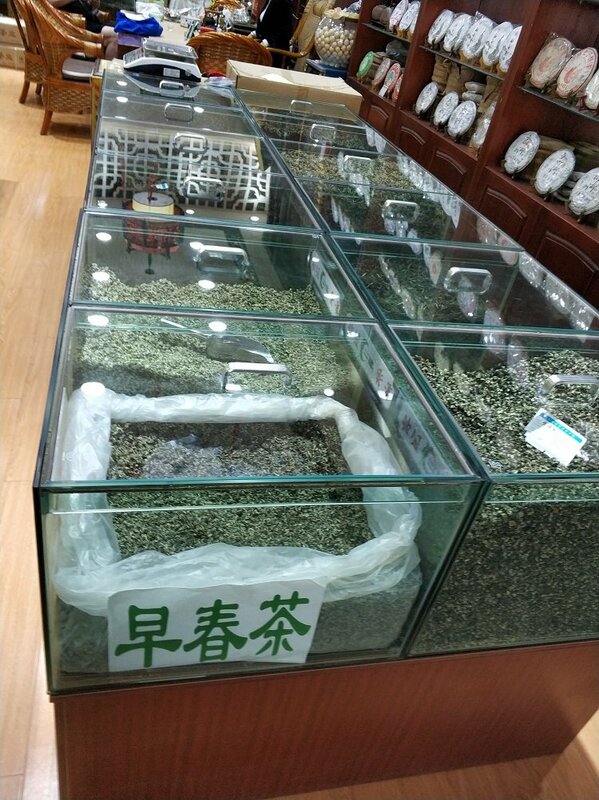 But for now, the adventure continues since I wanted to explore more exotic offerings in the wholesale tea market. Rode the Number 25 bus about 20 minutes to get to one of my favorite places in Kunming. I will use any excuse to go there and just poke around. All the shopkeepers welcome you in to taste their wares. It's easy to spend half a day giving your kidneys an Olympic workout. Kunming has several wholesale tea markets, but this one is easiest for me to reach and has become my favorite. 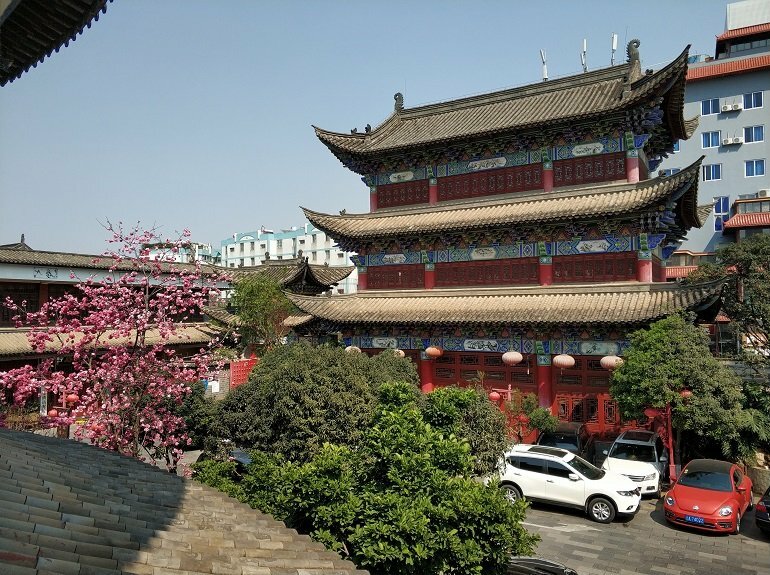 It's the Xiongda Tea City 雄达茶城, located north of center in the 金买小区 Jinmai Quarter. About a thousand tea stores on the north side of the street, spanning two blocks, and slightly less on the other side of the road. Several ornate entrances, like this one. My strategy is to dive in pretty deep, getting away from the shops on the main road. Rent is higher out front, as are prices. I looked for the signs advertising spring tea, just like we saw earlier. Go in and ask the shopkeeper about his or her wares. An invitation to sample usually follows. There's never an obligation to buy and I don't think I've ever felt pressured. 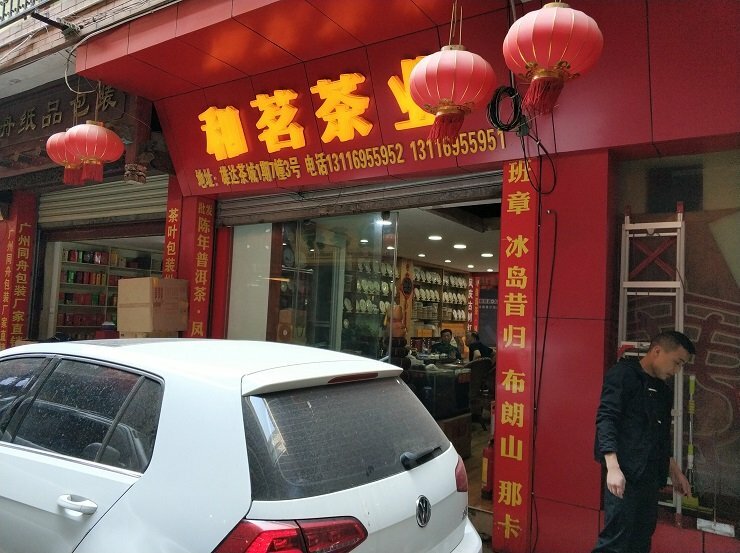 All these shops also sell cakes of Pu'er tea 普洱茶, in fact it's far and away their main draw. Today, however, I was intent on finding spring tea and didn't want to lose focus. Tried several of them at several different shops, always following the same basic procedure. Made sure to do plenty of smelling as well as drinking. Sample several steeps to see how the flavor develops. Swirl it around well in the mouth so it gets to reach all your taste buds. 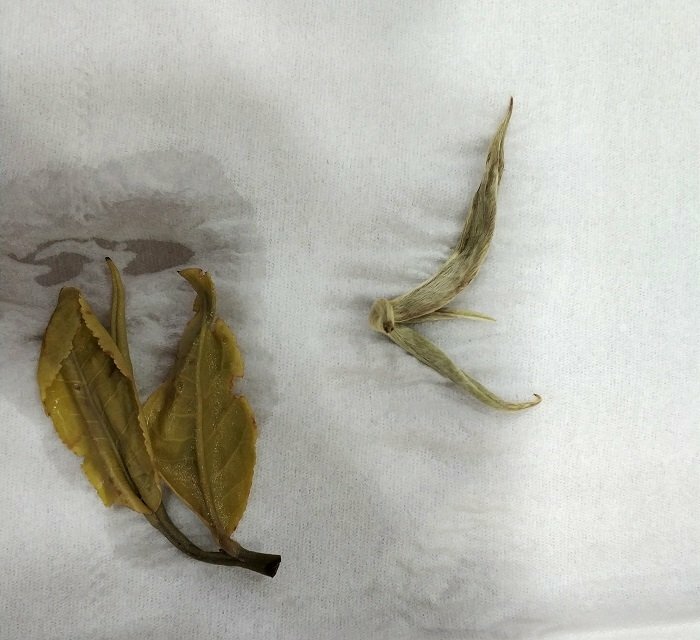 Pay attention to the after-taste 后感。Always look at a few of the leaves after the tea had been brewed. Leaf appearance and structure can be very revealing. 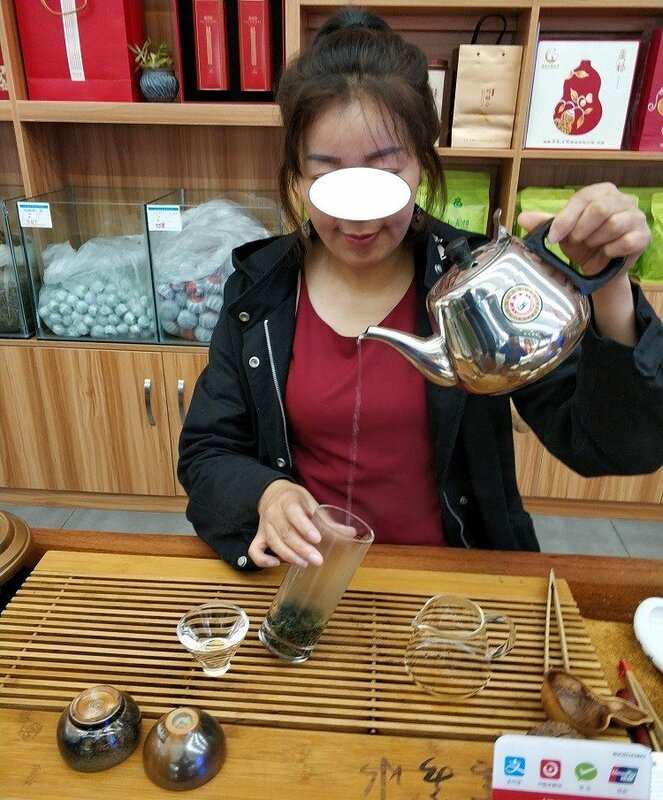 The tea above left opened up very evenly after being brewed, showing what this merchant called “两呀，没有叶”。She was putting a spin on the truth, since actually this complex is one bud and one very small leaf. I didn't argue, just nodded. Tea of this type has a very subtle flavor. 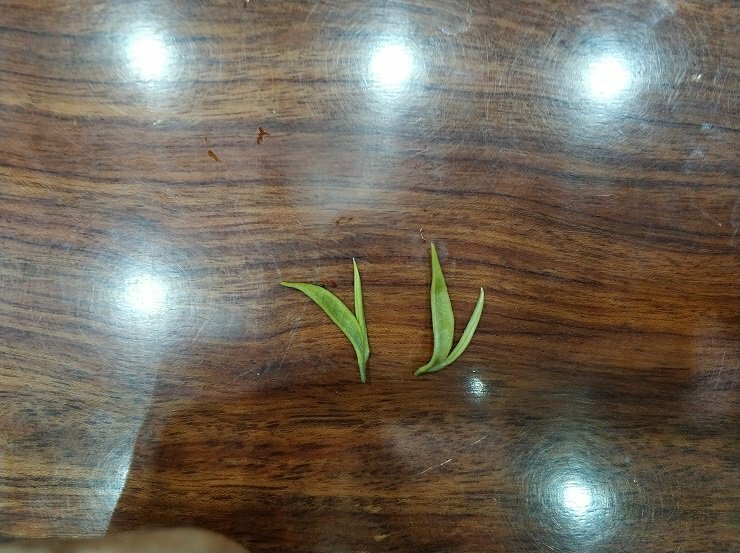 Above right is a picture of one of the "double shoot" teas beside a more standard configuration consisting of one bud and two small leaves. That tea, the darker one with two leaves and one bud, turned out to be one of my favorites and I bought a small bag of it, 100 grams. It was rich and full of the mountains from which it came, deep in a different part of 'Banna. (Pasha Village 帕莎村 in Menghai County 勐海县)。It was from old trees with deep roots 古树 over 200 years old. Those leaves were too large to brew well in a glass, and she used a gaiwan 盖碗 instead. I'll tell you more about it later. Don't want to get off track. Wound around a bit more, back in the bowels of the place, passing lots of signs offering spring tea. Shops are arranged on a maze of narrow lanes, barely wide enough to allow for a single small car. 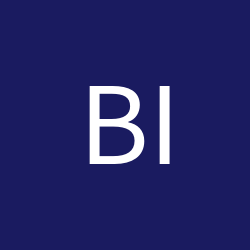 Customers cannot drive in, but a guard admitted vehicles belonging to the merchants or staff. Eventually had my limit of tea, so I wandered upstairs to look at teaware 茶具。Such a lot of beautiful pieces!. Dangerous; any pretensions I may have had towards a minimalist lifestyle are quickly out the window. This time I escaped with only a couple of small items. 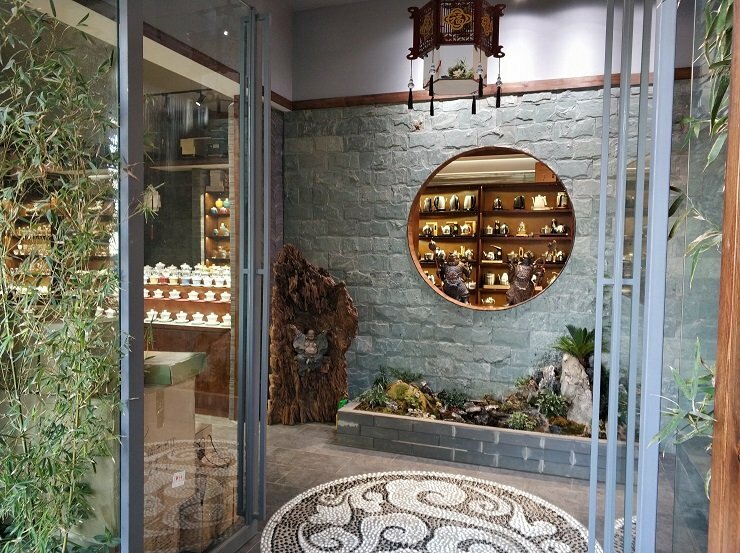 Some stores are basic and small; others are large, artistic and lavish. Finished up, trekked back down the stairs and onto the street. Caught the same bus back home. It had been a fruitful expedition. Here's a parting look at the 雄达 Tea City from the inside. Nice to see this place again! Currently waiting for some green tea to arrive in the post, would much prefer to be able to rock up to a shop in person. The place looks really nice! It is. 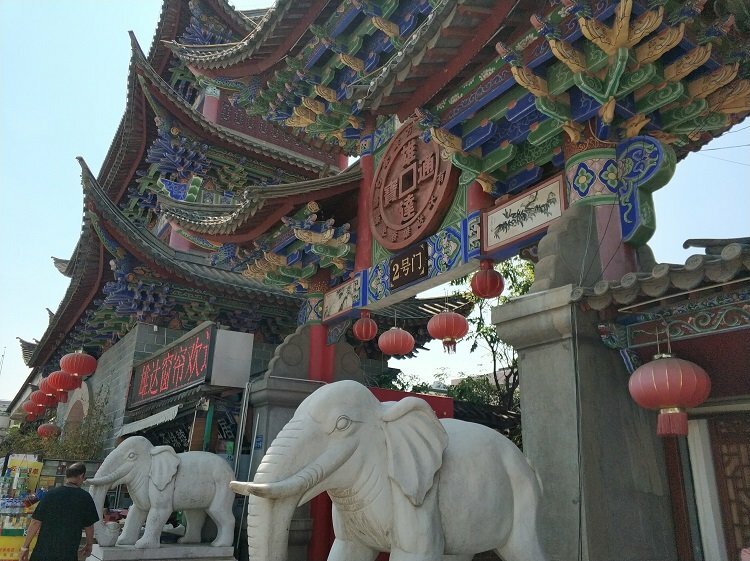 Parts of it were built in traditional style with arches, pagoda tile roofs and ceremonial guardian stone lions. The interior parts of the complex are currently dotted with bright flowering trees since it is that time of year. Everything is in bloom here in Kunming. Most or maybe all of the vendors sell Pu'er tea in its various forms, usually round compressed cakes. It's a Yunnan specialty and they can flog it all year long. 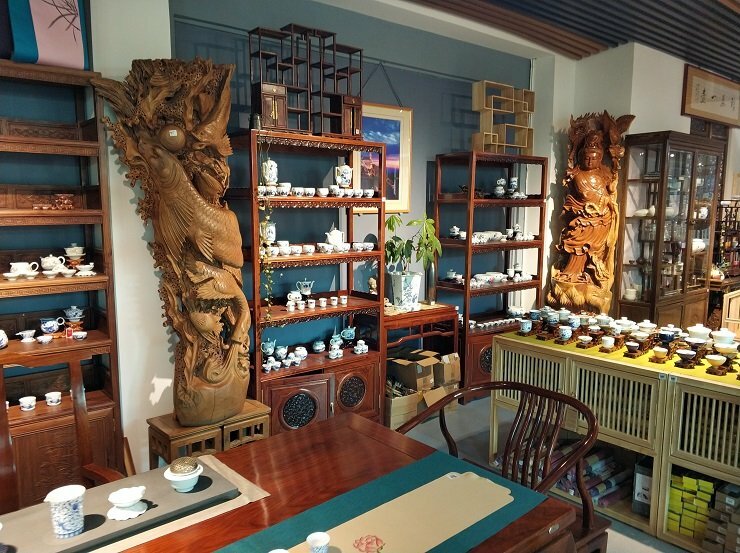 Some stores specialize in the produce of just one or another of Yunnan's famous tea growing regions, of which four are generally accepted: Baoshan 宝山 and Lincang 临沧 in the west of the province, Simao 思茅 in the middle and 'Bana 西双版内 in the south. 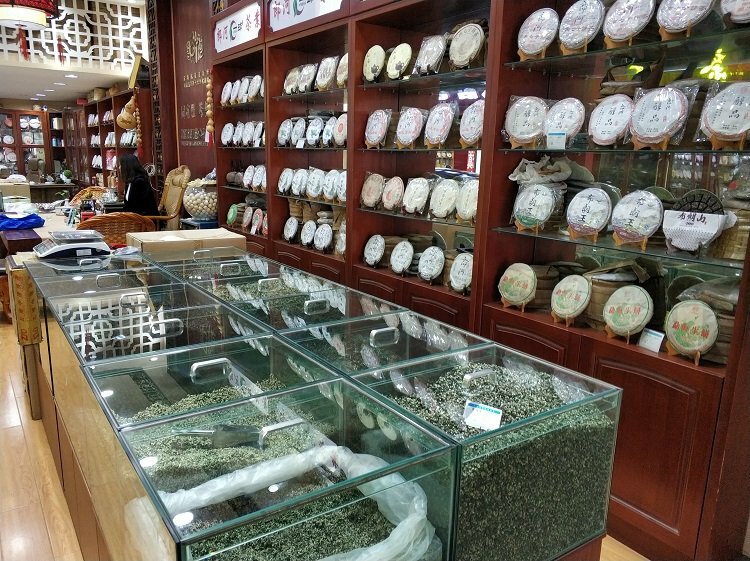 Kunming has become a major Chinese tea hub and buyers from all over the world come here to sample the wares and make volume purchases. This means that several decent businessman-type hotels exist right in among the tea shops and one street has a dozen or so good restaurants and food stalls. 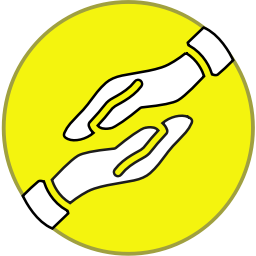 One or two feature "fine dining" where a seller can put on the dog for a prospective large buyer, but most are small simple places to get a quick inexpensive meal. every big town has its tea town, but Hong Kong... Thanks @abcdefg give me a lot nice memories..
碧螺春, 毛峰, 银针, 龙井, 大红袍 used to be the tea of a specific place, until 10 years ago, I was on a visit to the tea field in Hubei, the kiosk at street told me he offers all kinds or renown teas such as 碧螺春, 龙井, whichI supposed should be from Suzhou and Hangzhou. 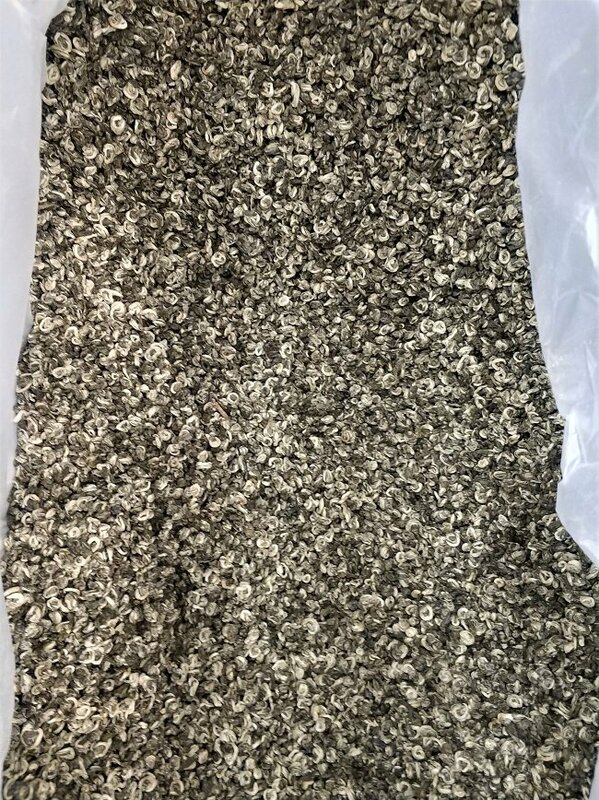 I have been to those tea field long time ago and know it is very limited product, even the locals should LOOK FOR it, how can someone on the street in a small town in Hubei has 碧螺春and 龙井 etc....what do you say?? Thanks for your comments @Bibu. Several years ago I traveled with some tea friends, professionals who were in the tea business full time, to visit a large experimental tea farm on the outskirts of Menghai 勐海县城, in south Yunnan's Xishuangbanna Autonomous Prefecture 西双版内。It was operated by a team of professors and students from Kunming's Agricultural University and consisted of several large plots of land, each one planted with a slightly different cultivar of the Camellia Sinensis tea shrub. Nearby they had their own processing facilities, small "tea factories" if you will. One of my friends explained that they were trying to reproduce other famous Chinese teas here in this spot where growing conditions were so favorable. They chose famous teas with similar environmental needs: hours of sunlight per day, degrees of temperature swing between the daily low and high, amount of rainfall, average humidity and such. One plot was for tea that would be processed like Longjing 龙井，another like Silver Needle 白毫银针, another like the long leaves of Taiping Houkui 太平猴魁 and so on. They told me the experiment had produced uneven results: some famous teas could be duplicated here, while others could not. 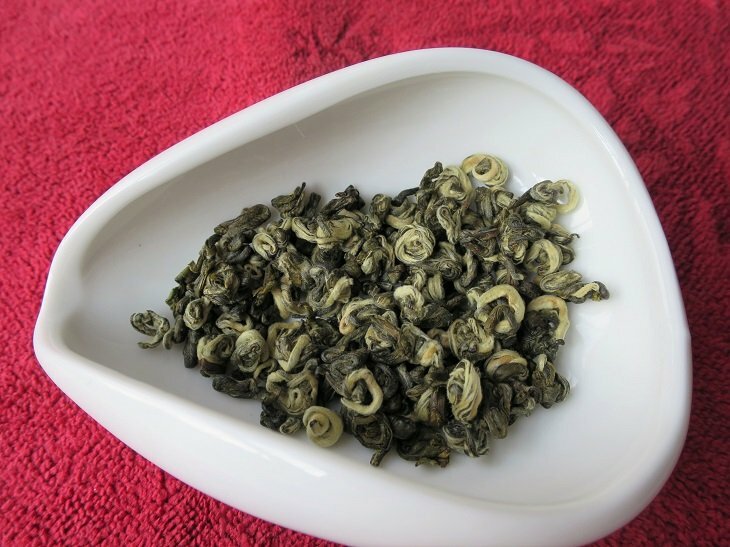 One of the local success stories was Yunnan Biluochun 碧螺春 ("green snail of spring". This colorful name supposedly was conferred by the Kangxi Emperor 康熙皇帝。) They were trying to copy the famous 碧螺春 of Dongting 洞庭 in Jiangsu, which is one of China's most loved teas. They found they could copy the middle grades well, but the very topmost grades of 洞庭碧螺春 were distinctive and the originals were better than the copies. 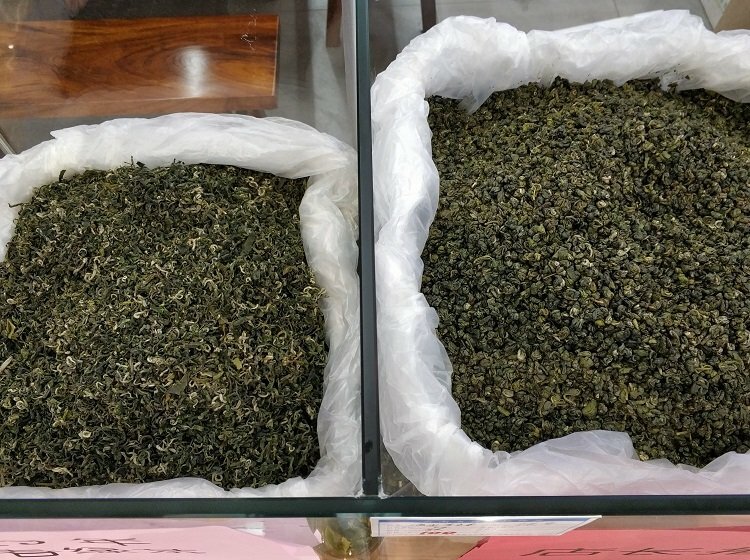 They found that Yunnan Longjing 龙井 was nowhere near as good as the original from the West Lake area of Hangzhou in Zhejiang 西湖，杭州，浙江。But Longjing has been successfully reproduced in parts of Sichuan. It is still very difficult, maybe impossible, to capture the complex after-taste of topnotch real Longjing, especially that which is picked and processed before Qingming Festival 清明节。This 明前西湖龙井 tea has no equal. 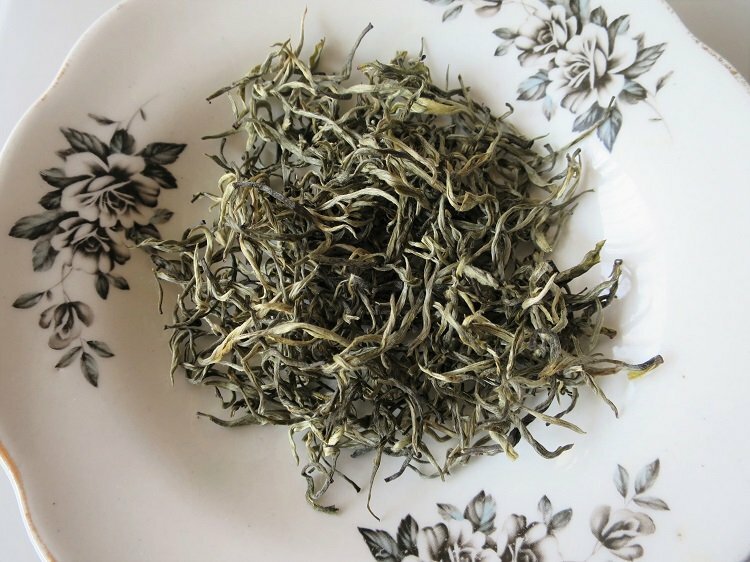 Another of Yunnan's success stories in copying famous tea from other parts of China has been Huangshan Maofeng 黄山毛峰, a delicate green tea originally from the vicinity of Yellow Mountain in Anhui Province 安徽省。It comes out light and eminently drinkable. I routinely buy Yunnan's Biluochun 碧螺春 and Yunnan's Maofeng 毛峰。I think the middle grades of these compare well to the originals which inspired them, and at a fraction of the price. I've been to the places where the originals of these teas are grown and drunk them near the source. For my palate, these Yunnan copies work very well. Someone else with more refined tastes might not agree. I suppose, theoretically, one could be upset by this practice. Is it like turning out a fake Gucci handbag or a fake Rolex watch? Maybe. I asked my friends on the trip that question. 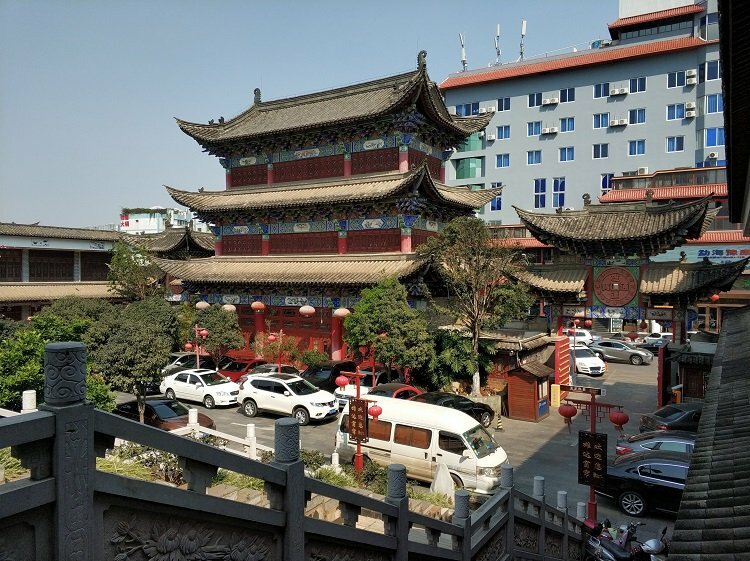 The lady in charge explained that another way to view it was that this more fully utilized the land in that poor part of Yunnan and improved the economic conditions of the farmers who live there. Every coin has two sides. Delightful read as always, @abcdefg. It's been a while since I've had a green tea from Yunnan. Most of the green tea I consume these days is from Japan (save for some surprisingly decent stuff from Jiangsu that we were recently gifted, which I cold-brew grandpa style in a large pitcher at work). Your post inspired me to place an order, although I went with a high mountain green from Huilong village, Lianghe county. Looking forward to its arrival! ...although I went with a high mountain green from Huilong village, Lianghe count﻿y﻿. Is this 回笼 village in Sichuan or 会龙 village in Anhui? Yunnan has a 梁河县 but I'm not familiar with its tea. Be interested in your evaluation after you've received it. It's 回笼 village in Yunnan. 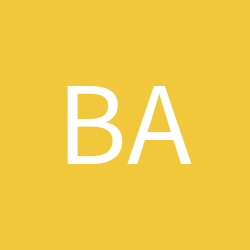 Baidu has some info. I bought mine from Chawangshop, a shop I can warmly recommend for those of us shopping from abroad, as they have a focused selection (less overwhelming than Yunnan Sourcing) and a very good price/quality ratio. Located in Kunming too. @Balthazar -- Thank you so much for expanding my tea horizons. That looks like wonderful tea. I will do my best to hunt some down and try it. My pleasure. If do you do end up getting some, let me know what you think. I'll make sure to do the same once my order arrives. If you don't mind me asking, which did you start with first, Chinese or Japanese? Chinese. As with so many other Westerners, my first foray into "real tea" was longjing. The main reason for why I generally prefer Japanese greens over Chinese these days is that over reliance on chemical fertilizers is less of an issue and that I generally find them to give a better bang for the buck (important caveat: this only applies when shopping from overseas). 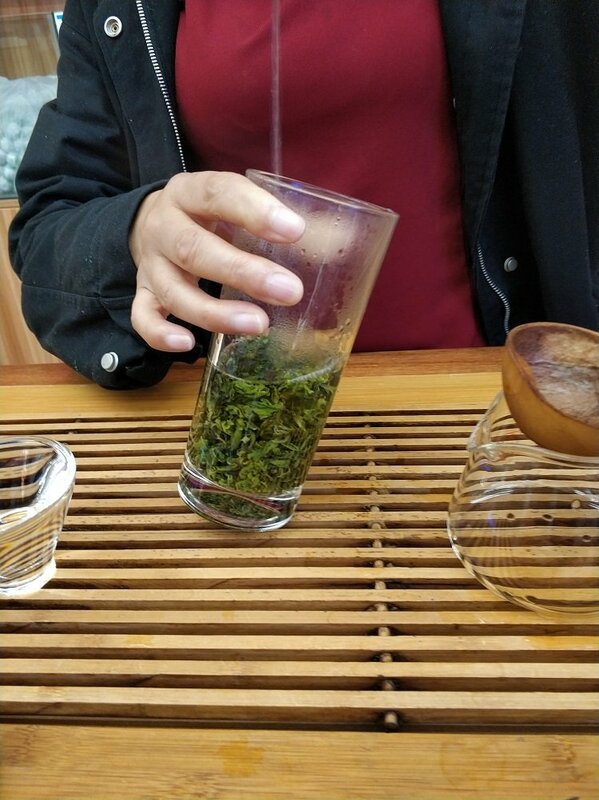 毛峰 is a broad leaf + buds green tea, it comes unrolled, still a lively green, perfectly fresh, crisp and clean - just looking at it refreshes you, and the slightly earthy scent transports you 'South of the clouds'. I'm no tea expert and never tried a new Spring tea before, but this tea made me an instant addict. Brewed in small quantities with a very short brewing time it produces a luminous light lemony green liquor. It is silky smooth, sweet (I can't detect even a trace of bitterness), light and with the flavour of fresh Spring flowers that lingers on...and then comes back to delight you long after, wow!....Thank you @abcdefg and everyone else who posted for the inspiration. Delivery by Express mail to Wales only took 10 days from ordering (transit time was only 1 week), the prices were much lower than I ever imagined and the tea was perfectly and lovingly packed, not one leaf damaged. @Luxi -- That sounds absolutely delicious! So glad that it worked out well for you! I'm no tea expert and never tried a new Spring tea before, but this tea made me an instant addict. And this thread below discusses last year's spring tea (2018.) 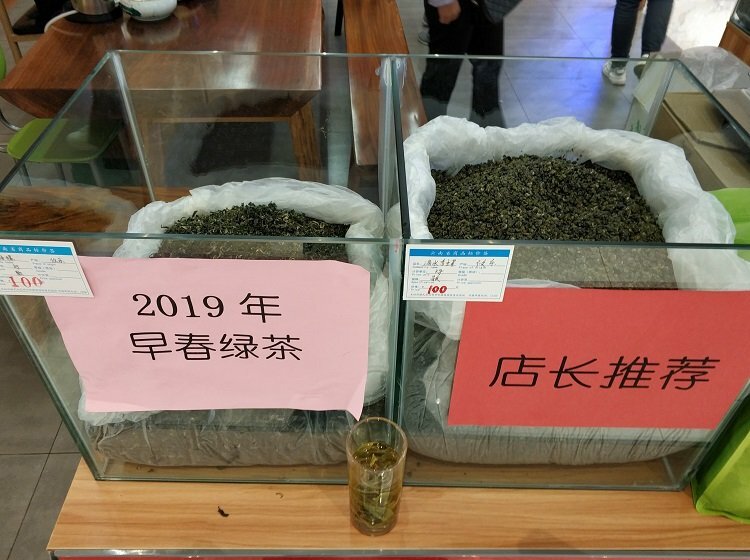 The tea sellers have all told me that the taste characteristics of this year's spring tea are better than last year's because the winter which just ended was not terribly cold and not much rain fell.